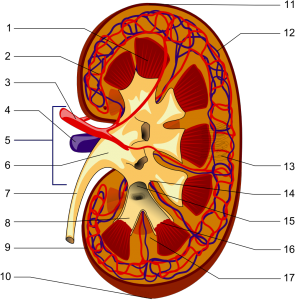 Scientists developing ways to stop kidney failure? In case you did not know, before week 34-36, the fetus develops 500,000-1,000,000 nephrons in the kidney. During these weeks, nephron progenitor (NP) cells are fully depleted and the body will no longer undergo nephrogenesis in its lifetime. Hence, if one were to lose a sufficient number of nephrons, the kidney would fail. However, The Saban Research Institute of Children’s Hospital Los Angeles has found ways to isolate NP cells in order to investigate how they become renal cells. If scientists can develop an understanding of these cells, they might be able to figure out how to regenerate renal cells after a kidney failure. This investigation can lead elsewhere, for example towards bioengineering and ways to regenerate other organs through these concepts. Overall, one can agree that this can lead to a breakthrough in future biology and medicinal studies. Breakthrough in Type 1 Diabetes Treatments! Are E-Cigarettes Worth the Hype?? ?